AS happens to most oligarchs facing their downfall, the owners of Panay Electric Co. (PECO) are in a mad frenzy to hold on to their 95-year monopoly of electricity distribution in Iloilo City, which not only the city’s leaders but also Congress have concluded to be so scandalously inefficient and expensive. 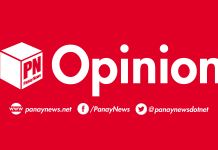 PECO through its lawyer two weeks ago allegedly claimed that electricity distribution in Iloilo City will be stopped if their franchise, which expires in January next year, is not renewed. The threat was taken seriously since the House of Representatives and the Senate that give such permits had given the franchise to MORE Electric and Power Corp., controlled by port-management and casino billionaire Enrique Razon, and sat on PECO’s request to renew its 25-year-old franchise. Since the electricity-distribution infrastructure is under PECO’s control, MORE’s takeover will require its cooperation, if power disruptions are to be prevented. 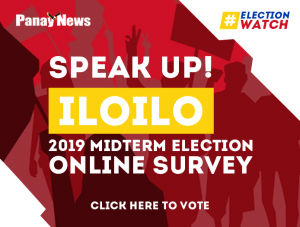 PECO — owned by the old-elite Cacho family and the Yellow oligarch Lopez clan — is defying Congress’ will and has even waged a PR campaign reportedly costing P20 million to prevent MORE’s takeover of electricity distribution in Iloilo. In that PR campaign, PECO has even put words in President Duterte’s mouth, falsely claiming that he is supporting the company and is against MORE. In the past several days, PECO has taken out full-page ads estimated to cost P5 million in the Yellows’ favorite newspapers The Philippine Daily Inquirer and Philippine Star which claimed that Razon’s “takeover of PECO is high-handed and reminiscent of the era of kings and robber barons.” Three columnists in those newspapers of course echoed PECO’s ads. A package deal? Razon’s MORE did not take over PECO. His firm was given the franchise to operate electricity distribution by the representatives of the people which we call Congress, who concluded that it was time for PECO’s 95-year monopoly to end. PECO practically claimed in its ads that Congress was under the port-management businessman’s control, alleging, among other things, that its committee hearings “were kept under wraps.” Secret hearings of a congressional hearing? PECO should get better PR men. The delirium that has taken over PECO’s oligarch-owners, or their stupidity in contracting unintelligent PR men who will just put them in further trouble, was demonstrated in their ads’ claim that President Duterte himself supports PECO and is against MORE. Do they stupidly think that just because of their ad reporting that Duterte supports them, Congress will withdraw its bill that will give MORE the franchise, and give it instead to PECO? Duterte had blown his top over the Lopez-owned ABS-CBN Broadcasting, because he’s convinced it has been reporting false news to demonize him, that he said he would block the renewal of its franchise which expires during his term, or in 2020. Yet he is supporting PECO which is partly owned by the Lopezes? To accurately interpret what a president’s stand on an issue is, watch what his alter ego on the issue — the Cabinet member in charge of it — is saying, or doing. If the secretary is saying something so different from what the President is saying or doing, expect that he won’t stay in that position for long. Lat week, Energy Secretary Alfonso Cusi said the energy department has formed a task force with the National Electrification Administration to take over the PECO facilities and operations in case the company refuses to implement a transition plan envisioned in the franchise bill that will authorize MORE Power to distribute electricity in Iloilo City. We are prepared to take over in case, to ensure there is no disruption of service — DOE and NEA. We organized a task force to take over in case there will be no settlement in the issue,” Cusi told newsmen. And PECO pays for full-page ads to put words in Duterte’s mouth, and claims he supports that Yellow oligarch firm in its bid to hold on to its inefficient monopoly? Have they gone mad? For a firm that has operated the electricity-distribution monopoly — a public utility for chrissakes — in Iloilo City for nearly a century, and which I estimate has given its owners P1 billion from 1996 to 2017, its main shareholders, “the Cacho family,” are probably the most secretive of elites. For a public utility, PECO doesn’t even make available to the public its annual reports, going by the fact that it isn’t posted in its official website. I was able to extrapolate its dividends only because the Lopez-owned First Philippine Holdings, which has 30 percent of its shares, is a listed firm and therefore was required to report is earnings from PECO. What I found extremely extraordinary though is that I could find no photograph at all in the internet, not even in its website nor in Iloilo newspapers, of any of its biggest shareholders, led by PECO Chairman Mariano Cacho and its President Luis Miguel Cacho. Why, they are not even identified as the bosses of PECO in the firm’s full paged ads, claiming its franchise must be renewed. Even in the Senate hearings, only a “millennial” low-ranking Cacho, Marcelo Ugarte Cacho, the firm’s “administrative manager” and his cousin, Corporate Communications Officer Mikel Afzelius were present. I’m surprised that the usually feisty Sen. Grace Poe, who heads the committee that decided not to give PECO a new franchise, did not demand the Cacho patriarchs Mariano and Luis Miguel to appear at its hearings. Name any billionaire — the late George Ty, Henry Sy, Lucio Tan, or Enrique Razon, Jr. —and one can find his or her photo somewhere in the worldwide web. You can’t find any of the Cachos. Other than the few references to Luis Miguel Cacho as PECO president, the only significant one was that he is a member of that very elite group of Filipinos listed in the International Consortium of Investigative Journalists’ (ICIJ) database of massive leaked information from law firms that handled the setting up, or maintenance, of offshore accounts. He is identified there as an “intermediary” in an offshore company in the British Virgin Islands named Costa Group Investments Ltd. That it wasn’t a case of mistaken identity is proven by the fact that the ICIJ reported Costa Group’s or Camacho’s address as “3rd Floor, Manfred’s Building, General Luna St., Iloilo City, Philippines, 5000.” That’s the address of PECO’s principal office. His firm’s rival, Razon, is many times wealthier than all the Cacho family members combined. But he isn’t reported as having an offshore account. Isn’t that so strange? Shouldn’t Congress summon him to explain these mysteries? How can a firm be a lucrative public utility when its owners are practically in the shadows, with its CEO even having an offshore firm in the British Virgin Islands tax haven?